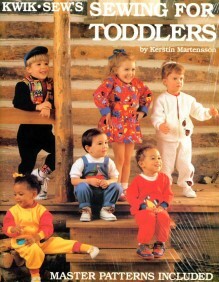 Sewing patterns for a complete wardrobe in Toddler sizes 1-4. 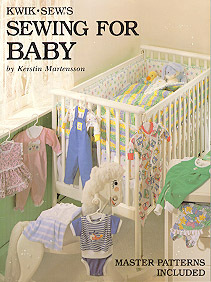 This one book includes patterns for shirts, sweatshirts, overalls, pants, jumpsuits, dresses, skirts and over 40 variations, all in toddler sizes! Appliques, tips, and ideas, easy to follow instructions, and time saving sewing techniques. Full color photos and illustrations! A great value! Note: the skirt for the dress in these patterns is immodestly short. However, it can be easily lengthened by simply adding the length needed.